This lovely, big, square framed cow looks good from all angles! 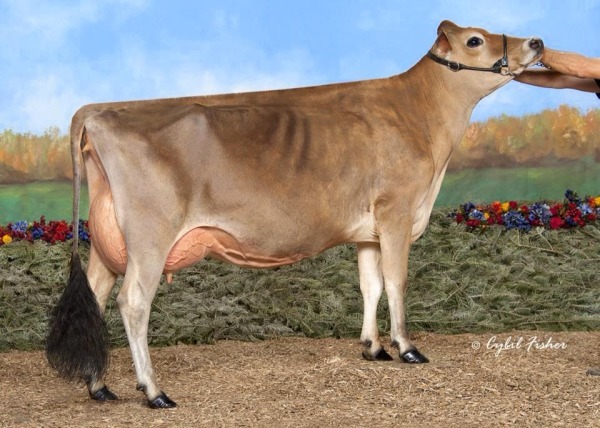 ​She has a tremendous wide rear udder and has proven to be a show winner! GOT JERSEY EMBRYOS TO SELL?? ?